July 1, 2010 I officially completed my responsibilities as Trustee and Trustee President of the Board of Trustees of the North Central New York Conference of the United Methodist Church. During these past six years I have accumulated hundreds of e-mails and other documents relating to trustee responsibilities. These documents range from simple letters to copies of various contracts and agreements that I have signed. Most of the documents exist only in electronic media although I do have a large file full of paper records. Much of yesterday and today was spent in culling out computer files that were trivial and likely of no historical or official value. With the termination of my responsibilities I am looking forward to purging my computer of files that I will no longer need. Those files that I think could be of value to the new trustees of the merged conferences are now archived on CD's. I will keep a copy and will send a copy to the archives of the conference along with my crate of paper files. Property issues that our group of trustees had been handling will be handed off to the new Upper New York Conference Trustees. During my tenure as a trustee we developed procedures for handling property, insurance and investment processes. I hope that our archival material may be of use in the future. However, I am wise enough to recognize that when a new entity comes into existence, often there is the desire to start afresh. So there is the need for me and my fellow trustees to step aside and watch from the sidelines and probably keep our suggestions to ourselves. Most of the time when I have moved on to new tasks, positions and activities, I have kept only a small portion of the historical materials. I guess I am a minimalist in that regard. 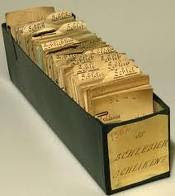 Others seem to be more organized in archiving their history. At lunch today my 96 year old colleague Royse Murphy mentioned a letter he had in his office that he had written to one of his students in the 1950's. I was stunned that he not only had it in his office, but also could refer to its content in the context of our conversation. I have made fits and starts at writing my memoirs and find that I have little documentation for some of my memories. Perhaps that is fine because I can interpret the events as I see them. Looking back in time can be interesting. However, I am satisfied with minimal archiving and more interested in looking forward to what the future has for me.